The Darebin Falcons are seeking players to join the 2019 Senior Soccer teams! 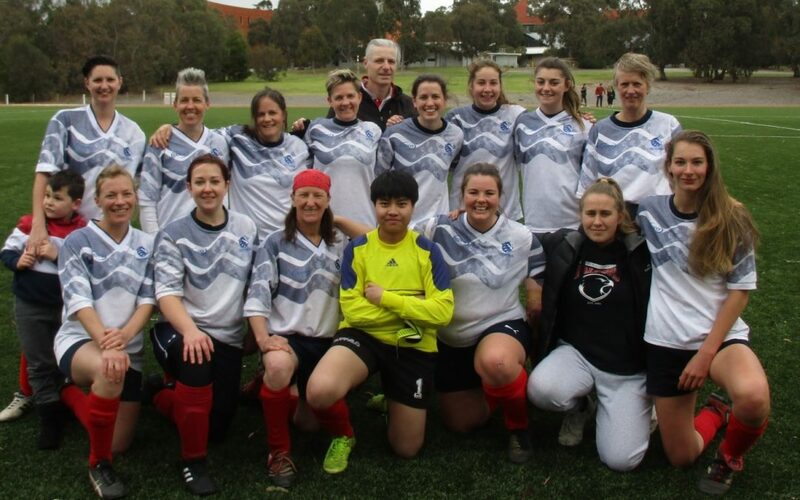 The Darebin Falcons are seeking women players for their senior soccer teams. Following a successful year in 2018 finishing 5th in Division 4, and having Division Best and Fairest player, we are excited what 2019 will bring. This year we are thrilled to be expanding to field three senior teams. We are seeking players of all ages and abilities and will have performance and development squads. Training will commence in late January at our ground at Robinson Reserve in Halwyn Crescent, Preston. Training nights are Tuesday and Thursday and matches are on Sundays. We are a women’s club that believes in the importance of women and girls participating in sport and have a junior girls soccer programme with over 300 players. If you are interested in playing please email [email protected] or contact the senior soccer administrator, Ruth Barton, on 0417 146 761. The information in the article above regarding where Senior Soccer training is being held appears to be incorrect. Where 2 of the 3 Senior Soccer teams do train is a complete mystery…must be on a need to know basis only. Don’t understand why all Senior players aren’t training at the same time and place…one club??? In addition the email link [email protected] doesn’t work (at least not for me). Thank you for alerting us to the error with the email link. This has been fixed. We are currently in the process of updating the website content so apologies for any confusion. If you email the soccer contact they will be able to provide you with the information.